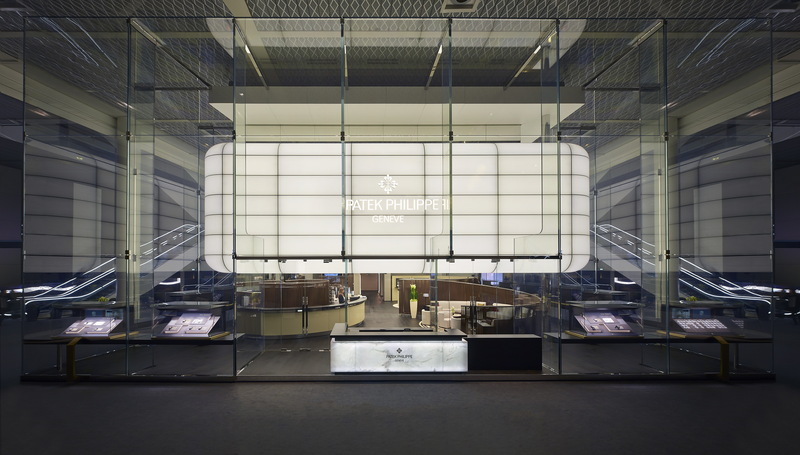 Patek Philippe marks its presence at the Baselworld 2014 with a new and original booth, both futuristic and functional to strongly illustrate the brand’s core values. Modern yet timeless, the transparent and luminous pavilion underline the company spirit of transparency and open communication to the world. The new booth, which serves as a translucent showcase on the occasion of the world’s largest watchmaking event. 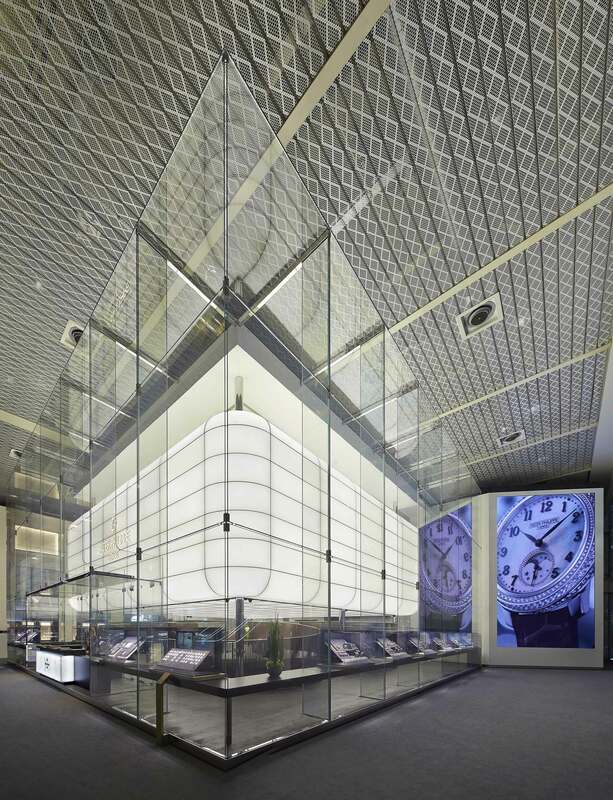 The pavilion stems from the concept of a huge transparent glass shield to best reveal the timeless beauty of its timepieces displayed toward the outside, while the inside harbors the bustling activities of a watchmaking company during a major exhibition. The pavilion is enteirely made of dry contruction. The assembly time is 8 weeks. Every year the booth is assembled in 8 week and disassembled in 4 weeks and then stored in crates for the next year. The expected life of the booth is 8/10 years. 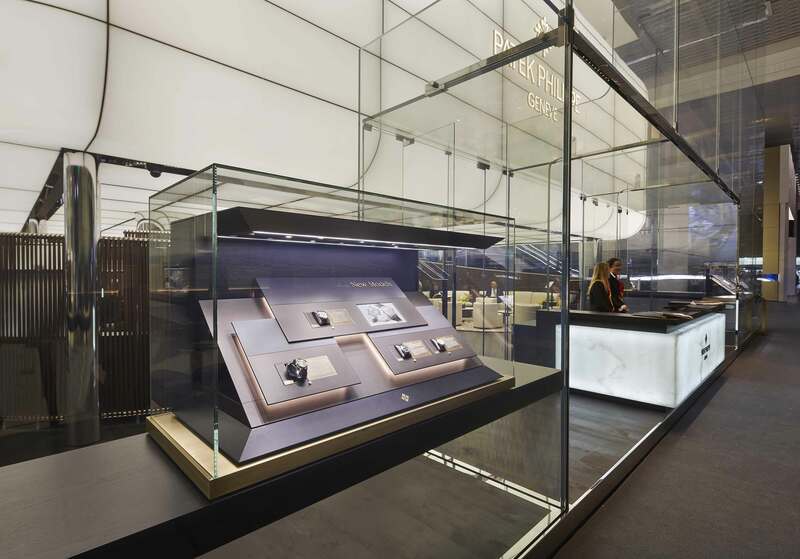 Baselworld is the most important event in the world of watchmaking and jewelery, for which the term “fair” is now obsolete: its pavilion architectures are to all intents and purposes, that give life to a town dedicated to luxury shopping. These “stand” are in fact true multi-storey buildings with elevators, services and open spaces, the result of research and planning on the part of the most important names in international architecture. The idea of the architect, selected by the house of Geneva following an international competition, was to create a pavilion that it might depart from the traditional idea of the stand as opaque block, giving rise instead to a futuristic glass envelope, which speaks the language of transparency and lightness. A large bulletin board and refined transparent (size 20x20x9 m) sharp edges , with a heart made of Corian® and backlit with rounded edges that flies suspended in the center of the space : a call to Christal Palace, the prototype of modern architecture and a source of continuous inspiration for contemporary art. This original temporary architecture is divided into two parts: the front is dedicated to the exhibition and a lounge area, while the back contains offices and services. The unconventional design that distinguishes it is far from being the result of a simple approach to fashion. On the contrary, its shape is the answer to the need of an impressive semi- public exhibition space, also equipped with a private lock and discreet. 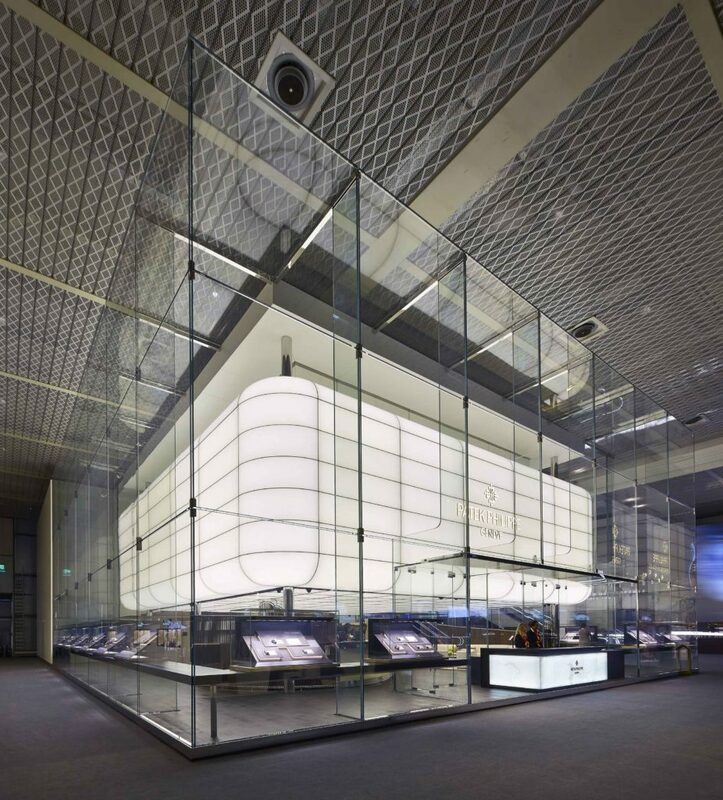 The glass walls are made from individual pieces 9 meters long, which represent a revolutionary construction system in this field. 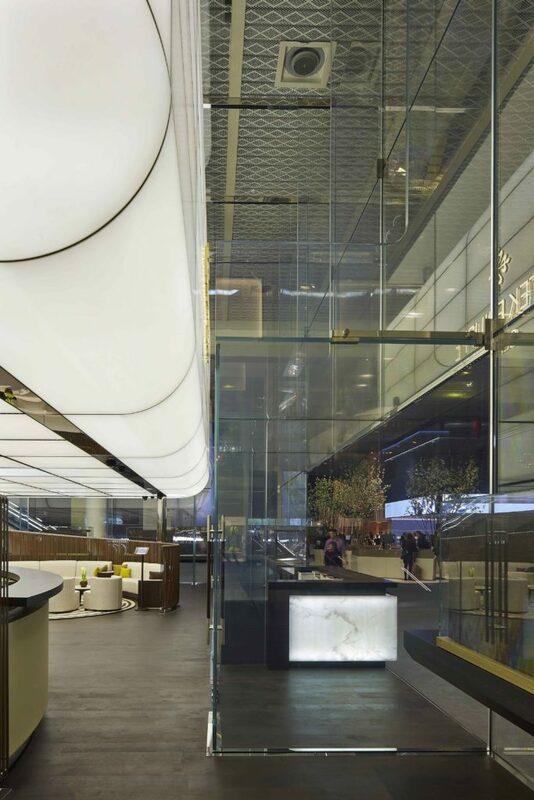 Each part of the project, from the most sophisticated articulation technique in detail crafted furnishings, is the result of a targeted search for excellence and a high level of innovation. The architect Ottavio Di Blasi chose the glass and steel as the basic material: 117 were assembled glass elements, for a total of 70 tons , on a structure of 125 tons of steel to produce a glazed surface of 600 sqm. The glass surface highlights 16 display cases. Inside the pavilion, the central structure consists of 400 square meters of Corian® with illuminated LED strips 5 km , turning it into a gigantic treasure of light. The space of the lounge is articulated by means of a sophisticated separè semitransparent constituted by a leather band of 5 km length.